NEW ORLEANS, La. — On Saturday, Feb. 2, 2013, six former NFL players along with a former NFL coach were elected to the Pro Hall of Fame at the site of Super Bowl Sunday in New Orleans, and will be enshrined in the Pro Football Hall of Fame this coming August. 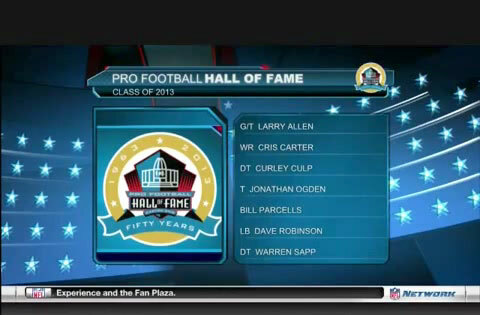 The class of 2013 includes Larry Allen, Cris Carter, Curly Culp, Jonathan Ogden, Dave Robinson, Warren Sapp and coach Bill Parcells, who were elected by the Hall of Fame’s 47-member selection committee following an eight-hour long session. Larry Allen, who played 203 games over 14 seasons, mostly with the Cowboys, played every position on the offensive line except center and was a first-team All-Pro seven straight seasons. Cris Carter played 16 seasons, becoming only the second player in NFL history to reach 1,000 receptions in a career. He caught at least 70 passes in 10 seasons, and totaled 130 touchdown receptions from 13 passers. PFP Sports and Celebrity Talent Agency is a speakers bureau and top booking agent for football speakers and athlete appearances. For more information call 800.966.1380.